JAZZ CHILL : Modern Jazz + Avant-Pop + Opera! Saxophonist Daniel Bennett's "We Are the Orchestra"
Modern Jazz + Avant-Pop + Opera! 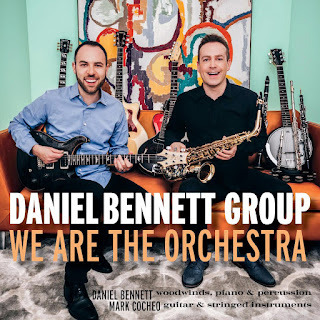 Saxophonist Daniel Bennett's "We Are the Orchestra"
Daniel Bennett's groundbreaking release "We Are the Orchestra" was conceived when Bennett arranged the musical score for "Whitman at the Whitney" at the Whitney Museum in New York City. The show was produced by the Hudson Guild Theater. 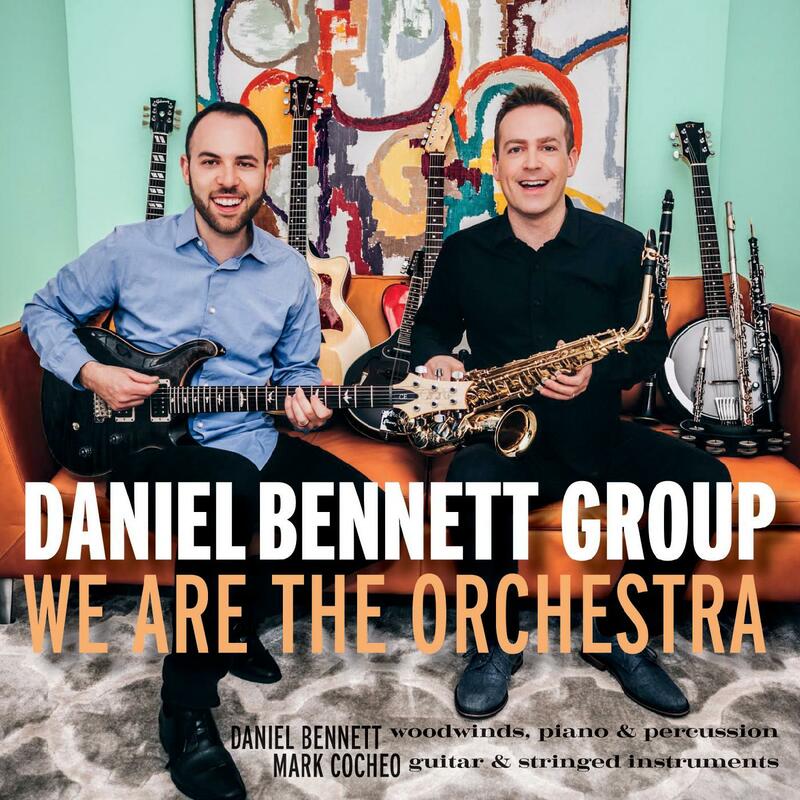 In a bold departure from previous works, "We Are the Orchestra" features saxophonist Daniel Bennett in a rare duo performance with guitarist Mark Cocheo. All of the wind, string and percussion instruments were recorded and layered to create the sound of a large ensemble. This ambitious project features Bennett's "Avant-Pop" compositions and arrangements of opera themes by 19th century composer Giuseppe Verdi. The music reveals the exceptional versatility of Bennett and Cocheo as they blend Jazz, Folk and Classical music with an infusion of offbeat humor. The Boston Globe describes Daniel Bennett's music as "a mix of jazz, folk, and minimalism." The New York saxophonist was recently voted 'Best New Jazz Artist' in Hot House Magazine (NYC). The Daniel Bennett Group has been featured in the Washington Post, Boston Globe, NPR, Indianapolis Public Radio, San Francisco Examiner, St. Louis Public Radio and the Village Voice. The Village Voice raves, "saxophonist Daniel Bennett makes hay with an airy approach that's buoyant enough to conjure notions of East African guitar riffs and Steve Reich's pastoral repetition." Daniel Bennett studied saxophone at the prestigious New England Conservatory in Boston. Bennett has lived in New York City for over a decade. The Daniel Bennett Group performs regularly at the Blue Note and other prestigious venues throughout the world. In addition to leading his own band, Daniel Bennett performs in Broadway and Off-Broadway theater productions in New York City. Daniel Bennett currently plays woodwinds in 'Blank! The Musical,' the first fully improvised Off-Broadway musical to launch on a national stage. The New York Times calls the show, "Witty, Likable and Ludicrous!" Daniel Bennett's theatrical works have strongly influenced his eclectic sound and musical storytelling abilities as a bandleader.